As you know we're big fans of Target and we're always on the look out for designer collaborations. 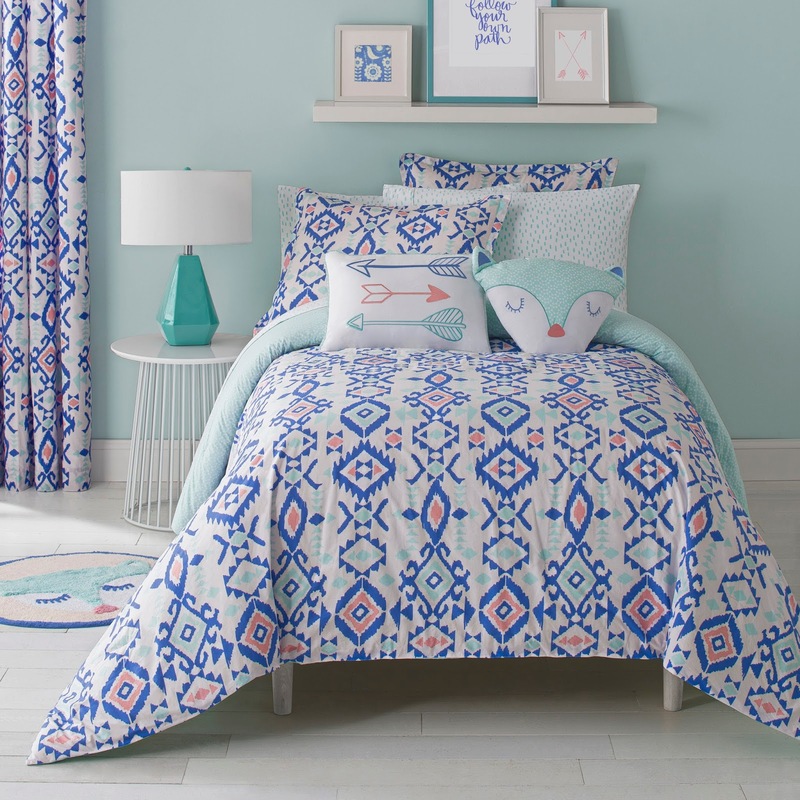 When we found out that HGTV designer Sabrina Soto was releasing an adorable children's bedding collection with Britannica Home Fashions, now available at Target, we just knew that we had to share it with you. Sabrina Soto recently became a new mother herself and earlier this year released a nursery collection also available at Target. I was able to preview the collection before it became available and what I saw I just loved. The collection is available in both toddler and kids, so you won't feel left out if you have a much younger child. This new line also features pillows, curtains, and comforters/duvets for twin and full/queen size beds for both girls and boys, all within the affordable price range of $24.99 to $89.99. 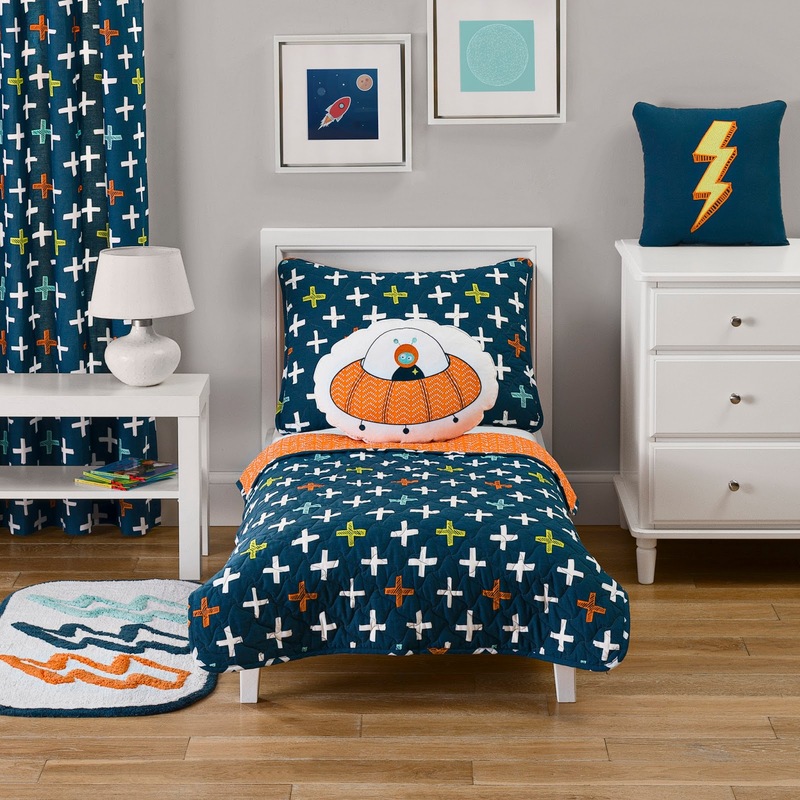 The colorful designs come in fun themes such as space, the outdoors, candy and so much more! Just take a look at what is in store for you! Madison and I received the Riley collection and her room is currently in the process of a makeover. We just loved the feel and quality of the collection and the owl print is something that we've always loved. I'm pretty sure that by taking a look at her theme over the years gave an indication of how much we loved the owl print. However, I'm a sucker lately for bright bold prints, so I'm also planning on getting the Lucy collection which I just think is darling. If you're not fans of owls or bright prints for girls, then the Olivia collection might just be what you need. For the boys think blasting off into space with the Blast Off collection and those who just LOVE the great outdoors, the Explorer collection would be perfect! Stay tuned for a second post where I show a before and after makeover of Madison's toddler room. She's now a pre-schooler and as she likes to call herself, a big girl, so it's time for a big girl makeover. I'll be using the Riley print but will also be incorporating a few colors from the Lucy collection, making it uniquely hers! 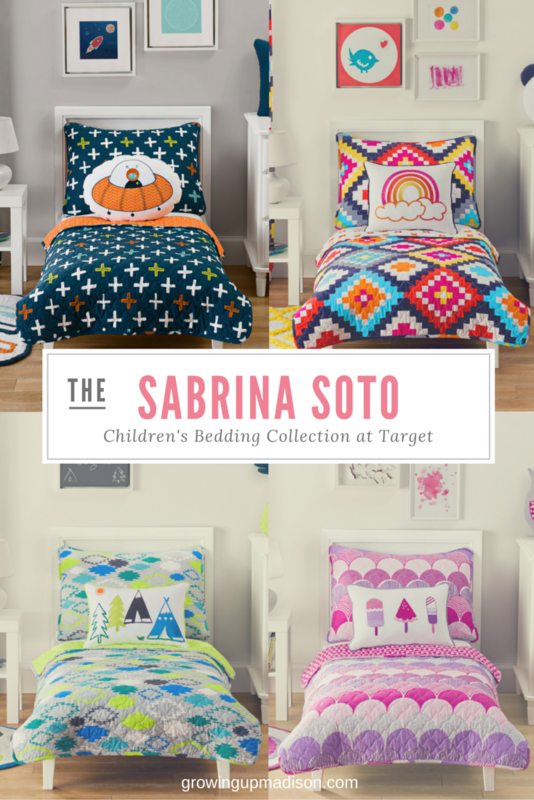 The Sabrina Soto children's bedding collection became available July 1st and you can find it online at Target.com. I love these new bedroom collections! The Olivia collection would be perfect for our youngest daughter because she loves foxes and isn't so much into girly things. The Olivia is really cute too. I think they're all great! The Riley is beautiful!! I'll be sure to share her room makeover soon. I think she's going to love it and I hope my readers do too! My youngest's last two bedding sets were from Target and I couldn't be more happier with them. The comforters were nice and heavy (I can't stand thin comforters!) and the colors stayed vibrant wash after wash.
Oh we love Target bedding too and the quality is always great. Never been disappointed ever! Just right for any child's room! I love all the pieces but my personal favorite is the Riley Collection because it's purple! The Riley is beautiful and I love the Lucy because of all the primary colors. I'm heading out to IKEA to get a few things to complement the look and when I'm done I can't wait to show our makeover. Those sets have some great colors! I think the one with the tents and trees is super cute. I think you're talking about the Explorer Collection and that is rather cute too. 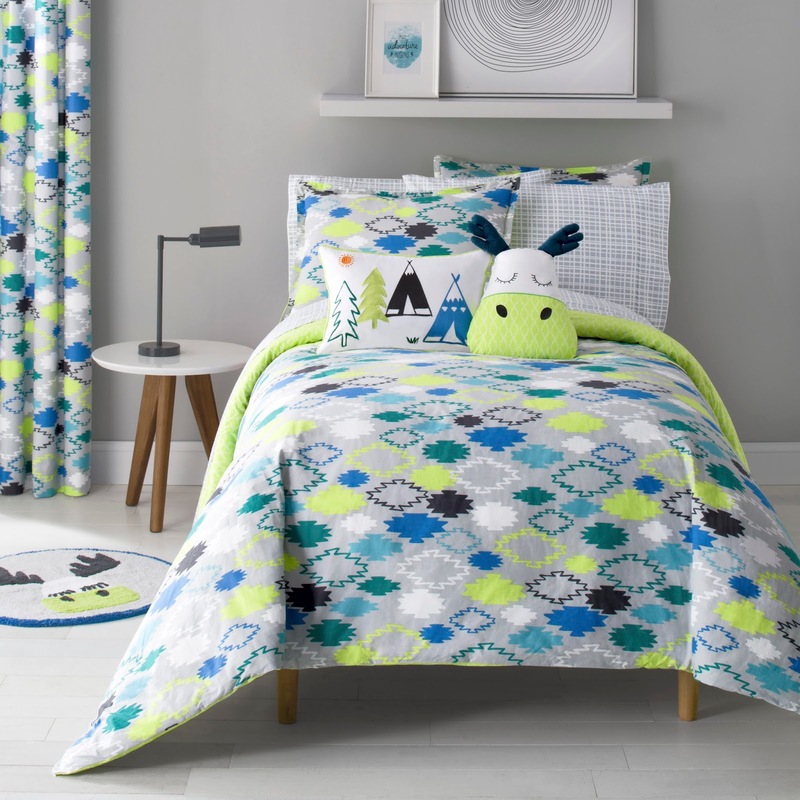 Those beddings are so cool, I love the patterns and the colors, it's not just adorable but it also matches a child's interest. If only my kids were younger, I would have bought theme these as well. I'm looking forward to seeing your daughter's room! 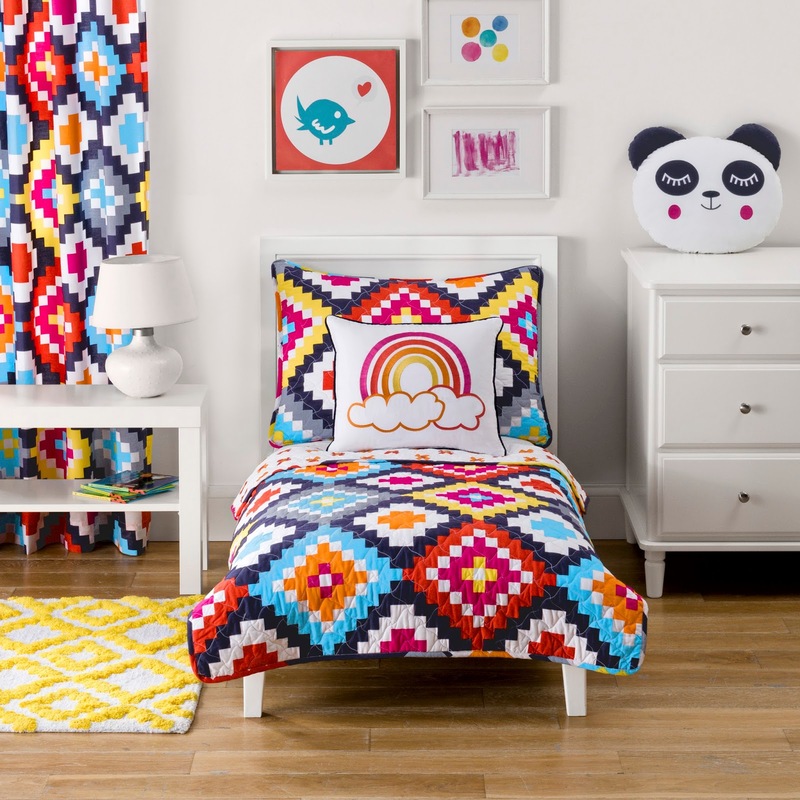 They are perfect for kids, however Sabrina Soto also has a bedding collection for older kids and adults as well. This collection is absolutely beautiful. It's every little girl's dream to have a gorgeous bedroom. These colors are so pretty and inviting. I remember when I was growing up, nothing really matched. Now the kids have all these options to choose from. I like the alien thing! My son will surely like it. He loves exploring and the colors are nice. That collection is called Blast Off and is perfect for the space explores in your life. They really make the room come together nicely, don't they? I love all of these, but the Explorer Collection is my fave. The Explorer is truly nice. I actually like that myself and think that its rather unisex. Love this collection! So many different patterns and designs to choose from for both boys and girls. Yes there is. Which one is your favorite? I think you're talking about the Riley collection and that's beautiful too! I like the Explorer Collection. My son will be thrilled to have this in our bedroom! He likes animals and he mimics their sounds too. Omg how cute are these bedding sets?!?! Perfect for my daughters room! She needs a new comforter! And you should certainly get her a new one. Madison is loving her new Riley set.